Philippe De Montebello. 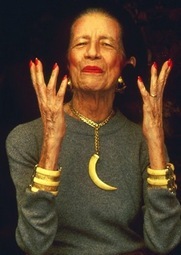 Diana Vreeland . Bent-jorgen Perlmutt. Fr�d�ric Tcheng. Lisa Immordino Vreeland. Women on Film. Recommended. Media/Journalism. Documentary. Biopic. For decades, Diana Vreeland was one of the leading authorities in fashion through eccentric self-taught skill and a bold stylistic audacity. This film guides you through this fashion pioneer's long career from her youth in Paris until she became a leading magazine fashion columnist and editor. In this medium, Vreeland challenged its preconceptions to present a new definition of beauty and vivaciousness where nice clothes were just the beginning for something deeper. Even when that vocation ended, Vreeland managed to gain a new museum profession to present clothing's history in her own inimitable way. Written by Kenneth Chisholm.